Internationally renowned organist and educator Stefan Engels is the new Leah Young Fullinwider Endowed Centennial Chair in Music Performance in SMU’s Meadows School of the Arts. Following an international search, world-renowned organist and educator Stefan Engels has joined the Division of Music in SMU’s Meadows School of the Arts as the new Leah Young Fullinwider Endowed Centennial Chair in Music Performance. The new endowed senior position was made possible by a $2 million gift from Sarah and Ross Perot Jr., in honor of Sarah’s mother, Mrs. Leah Fullinwider. The position is the first Endowed Centennial Chair in the Meadows School of the Arts and the second for SMU. The winner of the “Concerto Gold Medal” at the 1998 Calgary International Organ Competition, Engels has served as professor of organ at one of Europe’s oldest and most prestigious musical institutions, the University of Music and Theatre “Felix Mendelssohn Bartholdy” in Leipzig, Germany, since 2005. He is also the founder and artistic director of the European Organ Academy Leipzig and has recorded two highly acclaimed CDs on the Naxos and Priory labels. Engels maintains a vigorous international concert schedule and is a sought-after teacher, having presented lectures and master classes across Europe, North America and South Korea. His specialization in the organ works of Sigfrid Karg-Elert has resulted in the world premiere recording of the complete organ works of Karg-Elert, also on the Priory label. Of this 14-CD project, eight CDs are now available for purchase and have been reviewed to the highest international acclaim. The search for the new chair was led by Pamela Elrod, director of choral activities at Meadows. The search committee included SMU faculty members Andrés Díaz, international concert cellist; Xi Wang, award-winning composer; and Christopher Anderson, associate professor of sacred music, as well as noted Dallas Morning News classical music critic Scott Cantrell. Engels received his broad musical education in Germany and the United States. He studied organ, piano, harpsichord, choral conducting and church music at the universities in Aachen, Düsseldorf and Cologne. From 1993 until 1998 he pursued organ studies with Wolfgang Rübsam in Chicago and the late Robert Anderson in Dallas, receiving an Artist Certificate degree from the Meadows School in 1995. He will present his first concert at SMU, “à la française!,” on Saturday, Nov. 22, 2014 with a program of classic French works spanning the centuries. Included will be Nicolas de Grigny’s Selections from Livre d’Orgue (1699), Michel Corrette’s 18th-century Organ Concertos No. 2 and No. 5, and Louis Vierne’s Symphonie IV, Op. 32 (1914). The concert is offered in partnership with the Dallas Bach Society and will also feature a Baroque orchestra. For more information, visit meadows.smu.edu. Azfar Moin, William P. Clements Department of History, Dedman College, has won two major awards this fall for his first book. 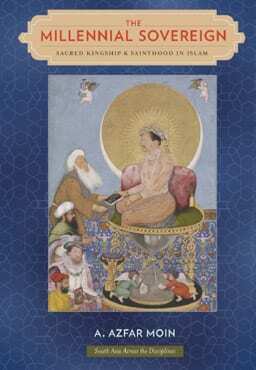 The Millennial Sovereign: Sacred Kingship and Sainthood in Islam (Columbia University Press) earned the American Academy of Religion’s 2013 award for Best First Book in the History of Religions. It also received the 2013 John F. Richards Prize, awarded annually by the American Historical Association, as the most distinguished work of scholarship on South Asian history published in English. This prize will be awarded during a ceremony at the Association’s annual meeting in Washington, D.C. in January 2014. Santiago Cañón Valencia, a graduate student in the Division of Music, Meadows School of the Arts, released a new performance CD, Solo, in March 2013. The Strad magazine has praised the 18-year-old Colombian’s “technically flawless” and “simply tremendous” playing, calling the CD “one of the most persuasive programmes of solo cello music … to date.” He is a Performer’s Diploma candidate in cello under the instruction of Meadows professor and international concert artist Andrés Díaz. SMU’s Meadows School of the Arts is transporting its art and music into the community as part of a new “Meadows Community Series,” which will present five events in diverse venues throughout Dallas over the fall and spring semesters. The series launches with a concert by the Meadows Wind Ensemble at 8 p.m. Friday, Sept. 13 in the new Dallas City Performance Hall. Other offerings will include concerts by the Meadows Symphony Orchestra and Meadows choirs, a creative take on Shakespeare at NorthPark Center, and a dance performance and children’s creative movement class at Klyde Warren Park. The new series is part of Meadows’ ongoing initiative to engage the community with art, music, theatre, dance and more. Sam Holland, professor and director of the Division of Music at Meadows, says the series is about more than showcasing talented Meadows performers in new city locales; it’s also about inviting the audience members to have an aesthetic experience. Three of the events are ticketed, and two are free. Ticket prices range from $7-$13 and may be purchased at the door or online in advance at Vendini.com. For more information contact the Meadows Ticket Office, 214-768-2787 (214-SMU-ARTS). An SMU faculty member has won the “Olympics of Horn Playing.” Haley Hoops, assistant instructor in the University’s Meadows School of the Arts and second hornist with the Dallas Symphony Orchestra, took first prize in the 2013 International Horn Competition of America, Professional Division. The competition, held Aug. 30-Sept. 1 at the University of Louisville’s School of Music, is the largest of its kind in North America. It drew 70 leading French horn players from 11 countries to perform in two categories — professional and university. They were judged by some of the nation’s eminent hornists, including professors at leading schools of music and top-level symphony orchestra musicians. Hoops has taught horn at SMU since 2001 and has been second horn player with the Dallas Symphony Orchestra (DSO) since 1999. She’s played nationwide with orchestras that include the Detroit Symphony Orchestra, Milwaukee Orchestra, Richmond Symphony, Grant Park Festival Orchestra, Fort Wayne Philharmonic and Grand Teton Music Festival Orchestra. Hoops also performs with the DSO-sponsored children’s educational brass quintet Symphony YES! and with Voices of Change, a Dallas-based contemporary music ensemble. In 2012, she premiered the Sonata for French Horn and Piano by James M. Stephenson at the International Horn Symposium.